Don’t want to say something that would put you on this list of crazy things church greeters say? 1. Honor your members and guests. Each church member and guest who arrives at your building is a human being. Some prefer anonymity. Others hope to see a friendly face in a strange place. The things you do and say will show either honor or disrespect. Think of ways to honor your guests in your greeting. Can we help you with showing you where to take your kids. 3. Greet people after the service. Make a point to spend time greeting people after the service. If you are in a smaller church under 250 people, you might easily know who is a first time visitor. In larger churches, make yourself available at the visitor center, or look for people who seem a little out of place or looking for signage, or appearing a little uncomfortable. Don’t simply give up your role after the service gets started. 4. Offer to pray with visitors if appropriate. If you are making small talk with a visitor after the service is over, listen for a need that could be prayed for. Don’t go fishing for something just to create a prayer opportunity, but listen. Offer to pray with your guest before leaving if appropriate. Then pray something short and simple before your leave their presence. Allow this to be a potential aspect of care, and an opportunity for God to work. 5. Help visitors know where to go. If you are able to recognize a church visitor when they are arriving at the church, offer to help them find the sanctuary. If they have not been to your building before, they may need some guidance. Some church facilities are laid out easily enough to find the sanctuary. I once attended a church in a movie theater inside a mall, on the third floor, above the food court. Once at the theatre, I had to figure out which “screen” the church held its meeting. It shouldn’t need to be said, but it does. Give a genuine welcome with a genuine smile. I’ve entered too many churches where the greeters were just too “ho-hum” to really display any care. A smile goes along way towards a warm welcome. If your church provides handouts or bulletins, your job is to share those with a smile (see #6). Make eye contact with people. This is not the time or place to talk about Sunday’s game, or the college game, or anything else. As a church greeter, you are part of the welcome experience of your church. A good greeting process will help prepare the way for whatever work the Lord wants to do in that visitors life. Pray for the visitors that God will bring to your church. Pray for your work, that you might be a blessing, rather than a hindrance, to each visitor and member who comes. I’ve gotten great joy in greeting those members and guests of our church who are far older than I am. Often times, if they are long term members, they have spent a lot of time investing, serving, or giving in your church. Always express honor to them. If assistance in the form of a wheelchair is needed, you should know where to get one. If they need hearing devices, you should know where those things are. Don’t simply greet the adults. Greet the children as well. They might be more nervous than their parents who are attending a new place. They might be a little fearful about all the new people they might have to meet. Some may be more outgoing than others. But, they are your guests. Honor the children with a personal greeting, eye contact, and handshake. 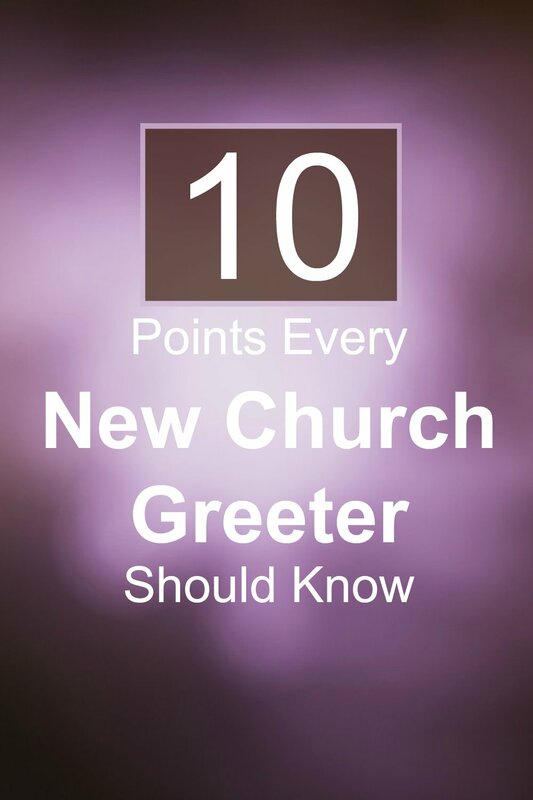 What do you think every first time church greeter should know, but is afraid to ask? 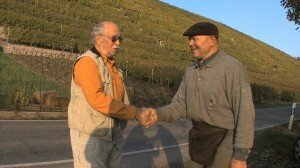 What is the work of the greeters in the church? First time greeters may wonder whether they are expected to remember everyone’s name. Over time, you will remember a lot more names then you ever thought you’d be able to remember. However, it’s unlikely that you’ll remember everyone’s name. If church attendance fluctuates significantly week-to-week, it will be even harder to remember names because you just won’t seem them as often. So don’t sweat it. If you recognize the face but not the name, it’s ok to ask again. You may have to ask a few more times before it sticks. I readily acknowledge that will people. Amazingly, most people seem relieved because it gives them permission to do the same. You’ve made a great point there. In one my webinars, how to remember names was a common question. Simple name remembering techniques can help, but my favorite is to make a note to self when the conversation is over and then spend the week praying for that person.